After a long time finding the world of Tarot reading completely fascinating and intriguing Ivor decided to take his huge enthusiasm to the world at large and read cards professionally in Covent Garden. He rapidly became part of the fabric of the community in the central London location and read cards for the rich and famous as well as many infamous characters for nearly 2 decades. 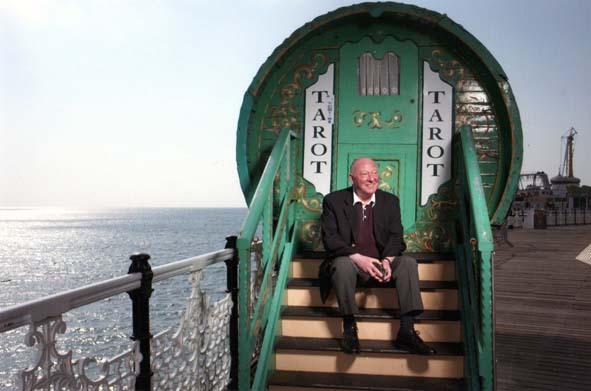 His life took a swift turn in 2004 and it was down to Brighton that Ivor headed and set up his original Romany Caravan on the pier and has since truly cemented himself as part of the Brighton experience.